The Allianz hurling league swings back into action this weekend after its short recess with Tipperary playing host to high flying Wexford in Semple Stadium in Division 1A Round 3on Saturday evening next, February 17th, at 7pm. Last year both sides met in Nowlan Park in the semi-final with Tipperary scoring five goals on their way to victory. All that will count for nought as Tipperary look to secure a second home win of the league in what will be a busy three weeks ahead for Mick Ryan’s men, with a trip to Nowlan Park to play Kilkenny next up followed by the visit of Cork to Thurles in the last league round. A brief history of the Tipperary and Wexford rivalry will show that there has been 41 league meetings between the sides, with the Model county marginally ahead on 20 wins, while Tipperary have won on 18 occasions with 3 drawn. Of the previous 13 games played in Thurles, Wexford again edge the scales on 6, Tipp have 5 wins and 2 draws where interestingly enough 2011 was the last time the sides met in the league in Thurles. The last ten league fixtures therefore resulted as follows; 19/4/1998 at Enniscorthy, Wexford 2-13 Tipperary 0-10, 21/3/1999 at Thurles, Tipperary 1-16 Wexford 1-8, 12/3/2000 at Enniscorthy, Tipperary 0-20 Wexford 1-15, 18/2/2001 at Thurles, Tipperary 1-16 Wexford 1-12, 18/3/2002 at Wexford Park, Wexford 3-13 Tipperary 1-10, 16/3/2003 at Nenagh, Tipperary 3-21 Wexford 1-11, 14/3/2004 at Wexford Park, Tipperary 4-18 Wexford 1-13, 13/3/2005 at Thurles, Wexford 2-19 Tipperary 2-15, 17/4/2011 at Thurles, Tipperary 0-17 Wexford 1-14 and finally last year 16/4/2017 at Nowlan Park, Tipperary 5-18 Wexford 1-19 (AHL semi-final). On what was a difficult afternoon the Tipperary footballers came away from Cusack Park with a valuable point following their 0-11 to 0-11 drawn match with Clare in round 3 of the Allianz Football League Division 2. Sitting midway in the table the team have a free weekend coming up though some players will still be involved with Sigerson Cup duty. Next up on Saturday week, February 24th, is an evening fixture in Semple Stadium at 7pm as Tipperary welcome Meath for round 4. Best wishes and a speedy recovery to Tipperary selector Shane Stapleton (Golden-Kilfeacle) who received medical attention pitch side and further observation in University Hospital Limerick following a fall in the course of the match on Sunday. Special thanks to the Tipperary and Clare backroom medical teams for attending to Shane so promptly and ensuring the best of care for him. Best wishes to Thurles Sarsfields who will play Kilnadeema-Leitrim (Galway) in the All-Ireland Junior B hurling final on Sunday next February 18th in Raheenagh, Co. Limerick. Best wishes to our referees in action this weekend where first up on Saturday, Fergal Horgan (Knockavilla-Donaskeigh Kickhams) takes charge of the Dr. Harty Cup Final in Mallow GAA Complex between Ardscoil Ris and Midleton CBS at 1:30pm. Fergal has a bit of a breather before he is back in the middle on Sunday when Waterford and Kilkenny meet in Walsh Park in the Allianz Hurling League Roinn 1 at 2pm. On Saturday in the AIB GAA Football All-Ireland Senior Club Championship semi-final Derek O’Mahoney (Ardfinnan) will rule proceedings when Corofin and Moorefield meet in Bord Na Mona O’Connor Park at 2pm. Later that evening in the Allianz Hurling League Roinn 1B, Johnny Ryan (Boherlahan-Dualla) will watch over affairs when Limerick and Dublin meet in the Gaelic Grounds at 7pm. Congratulations to Séamus King (Cashel King Cormacs) on receiving a Gradaim an Uachtaráin 2018 award at a function in Croke Park last Friday night, in the company of his family and Cashel KC club colleagues as well as Tipperary county secretary Tim Floyd. The citation for Seamus on the GAA website reads as follows; Seamus King is a name synonymous with GAA excellence. He was a renowned club administrator and was the chairman of his beloved Cashel King Cormac’s from 1985 to 1992 – a period which saw the Tipperary club enjoy magnificent success that included a county senior crown and a Munster club championship in 1991. Off the field, Seamus King has given extraordinary service to the GAA in the work he has done producing historical books and record books that have preserved the heritage of our Games for future generations and is an exemplary figure in this regard. A former winner of the prestigious GAA MacNamee award in 1993 for his journalism, he now receives further recognition for his lifetime of service. All roads lead to Sligo this weekend as the All-Ireland Final of Scór na nÓg takes place in the IT College. Best wishes to Loughmore-Castleiney who will represent us in Tráth na gCeist and to Newcastle who will represent us in Rince Foirne. We wish Kathy and Murt ádh mhór as they prepare our young finalists for the national stage. Go neirí libh. Best wishes to Cashel CS as they prepare for the Corn Thomais Mhic Choilm (18.5 B) Hurling Final where they will meet CBS Mitchelstown in Clonmel Sportsfield this Saturday, February 17th at 12:30 pm. Commiserations to Presentation Thurles who lost their All-Ireland PPS Senior A Camogie semi-final to Cross and Passion Ballycastle last Saturday on a score line of 4-10 to 3-4. With the launch of the new series of Laochra Gael on TG4 came the news that Lar Corbett (Thurles Sarsfields) will feature in one of the upcoming episodes. Holder of two senior All-Ireland hurling medals, the programme featuring the former Hurler of the Year will be one sure to be watched by all Tipperary supporters. The series commences on February 28th next on TG4. The Tipperary Association Dublin Annual Awards function at which the Association’s Tipperary Person of the Year and the Hall of Fame Awards for 2017 will be held in the Louis Fitzgerald Hotel, Newlands Cross, Naas Road, Dublin on Friday week February 23rd. A pre-dinner drinks reception will take place at 7.00 pm followed by dinner. Tickets are €40 each and may be purchased from Pat Ryan at 11 Foxfield Grove, Raheny, Dublin 5 (087 6376663 – psoriain@eircom.net) or from Liam Myles (087 2866018 – liammyles1@yahoo.ie Tables of 10/12 may be booked. The Tipperary Person of the Year award for 2017 goes to Denis Floyd, Chairman of Birdhill Tidy Village Committee. Birdhill scooped the overall National Tidy Town Award for 2017 – a superb achievement and reward for many years of dedicated work on behalf of the village. Denis Floyd has played a key role in the many achievements of his committee culminating in reaching the pinnacle in 2017. Deeply involved in all aspects of GAA and culture, Denis is a leader and a volunteer supreme. The 2017 Hall of Fame award goes to Newport man, Denis Ryan of Ryan’s Fancy fame. Denis is renowned for many years for his music, folklore and singing. He has lived much of his life in Newfoundland, Canada where he has made a huge contribution to the revival of local culture and music/song as well as spreading a knowledge/appreciation and love of Irish music and culture. He has forged strong links between Ireland and Canada not only in his field of music and but in business as well. The connections with both winners will provide “impromptu” entertainment after dinner which should be a most enjoyable experience – a gesture which the association greatly appreciates. In the Electric Ireland Fitzgibbon Cup DCU knocked out defending champions Mary I by two points 0-20 to 2-12. Though DCU have Liam Fahey (Rockwell Rovers) and Steven O’Brien (Ballina) in their ranks neither took part while Chris McCullagh (Moycarkey-Borris), Darragh Peters (Kilruane MacDonaghs), James Mackey (Nenagh Éire Óg) and Pa Ryan (Newport) all lined out for Mary I. IT Carlow including Mark Russel (Lattin-Cullen) (0-1) and Tommy Nolan (Drom & Inch) came from behind to defeat LIT in a gripping contest 1-19 to 0-18. LIT had a fine sprinkling of Tipperary talent which included Sean Ryan (Sean Treacys), Robert Byrnes (Portroe), Willie Connors (0-1), Darren Moran, and James Quigley (all Kiladangan). Fergal Horgan (Knockavilla-Donaskeigh Kickhams) refereed the match. DIT assisted by Patrick Maher (Lorrha-Dorrha) defeated fellow Dublin rivals UCD 0-19 to 0-17 to set up another capital derby as they progressed to meet DCU in the semi-final. John Joe Ryan (Clonakenny) and Rory Purcell (Thurles Sarsfields) were on the defeated UCD side. In the remaining quarter-final University of Limerick had a comprehensive 4-18 to 0-8 victory over UCC to well and truly cement their place in the other semi-final against IT Carlow. Jason Forde (Silvermines) scored 2-1 including a penalty for UL with Paul Maher (Kilsheelan-Kilcash) scoring 0-2. John McGrath (Loughmore-Castleiney), Barry Heffernan (Nenagh Éire Óg) and David Gleeson (Ballinahinch) also featured for UL. While for UCC Michael Breen (Ballina) was the sole Tipperary representative on the day. The semi-finals are as follows, Tuesday February 13th at WIT Sports Campus – University of Limerick v IT Carlow and at Parnell Park – Dublin Institute of Technology v DCU Dóchas Éireann with both games throwing in at 7pm. The final is fixed for Saturday week, February 24th at 3pm in Mallow GAA Complex. In the Electric Ireland Sigerson Cup quarter finals last week, the fixtures with Tipperary interest resulted as follows; Ulster University defeated University of Limerick 4-6 to 0-11 with Luke Boland (Moyle Rovers) in the UL starting fifteen. DIT with Bill Maher (Kilsheelan-Kilcash) on board travelled to Austin Stack Park to take on home side IT Tralee and came away with the spoils on a 3-17 to 1-7 score-line. UCD with Charlie Manton (Fethard), Jimmy Feehan (Killenaule) and Liam Casey (Cahir) (0-1) progressed to meet Ulster University with a 0-16 to 1-9 win over DCU who had Steven O’Brien (Ballina) (0-1) at midfield until he had to be withdrawn through injury. Finally, NUI Galway had five points to spare over UCC at the Mardyke leading all the way in a 1-9 to 0-7 victory. Jack Kennedy (Clonmel Commercials) was in midfield for UCC. NUIG now meet DIT in the other semi-final. A recap on the semi-final line up is as follows, Wednesday February 14th at Inniskeen – Ulster University v University College Dublin and in Portarlington – N.U.I. Galway v Dublin Institute of Technology both throwing in at 7pm. The final is fixed for this Saturday, February 17th at Santry Avenue with a 3:30pm start. All schools have been emailed order forms for the Tipperary Cumann na mBunscol forthcoming equipment night. 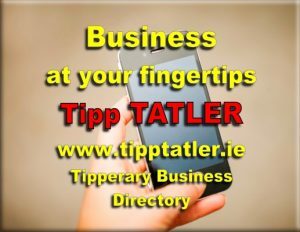 Please access the website http://cnmb.tipperary.gaa.ie/ if you need any further information. All other items of equipment ordered and paid for, must be collected in Scoil Ailbhe Primary School, Thurles, between 4.00pm and 7.00pm on Friday, March 23rd, 2018. 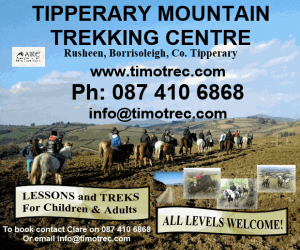 Membership is €40 per person and there are several payment options. If you would like to be entered into the draw for some fantastic prizes the Friends of Tipperary Football are now selling membership for 2018 and once again it is a very reasonable €20.